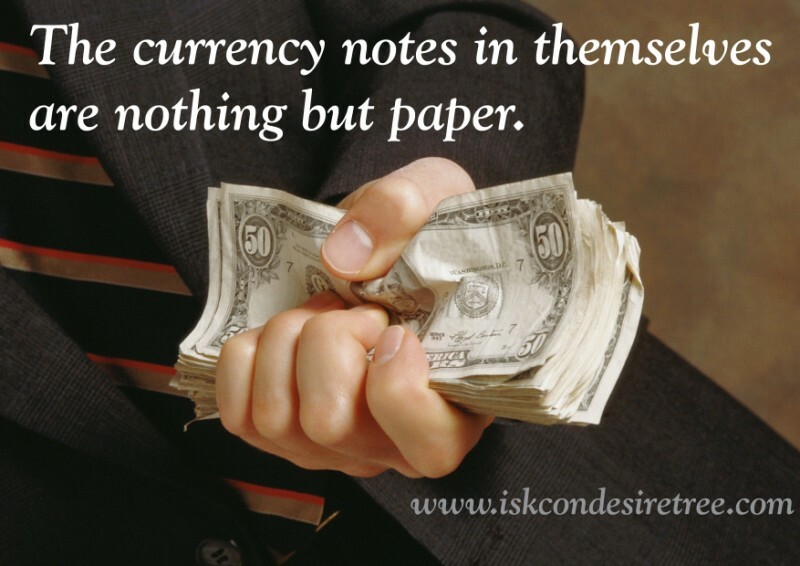 The Currency notes in themselves are nothing but paper. In Kali-yuga, Goverment has no well-protected treasury, and the only means of circulation is currency notes made or paper. 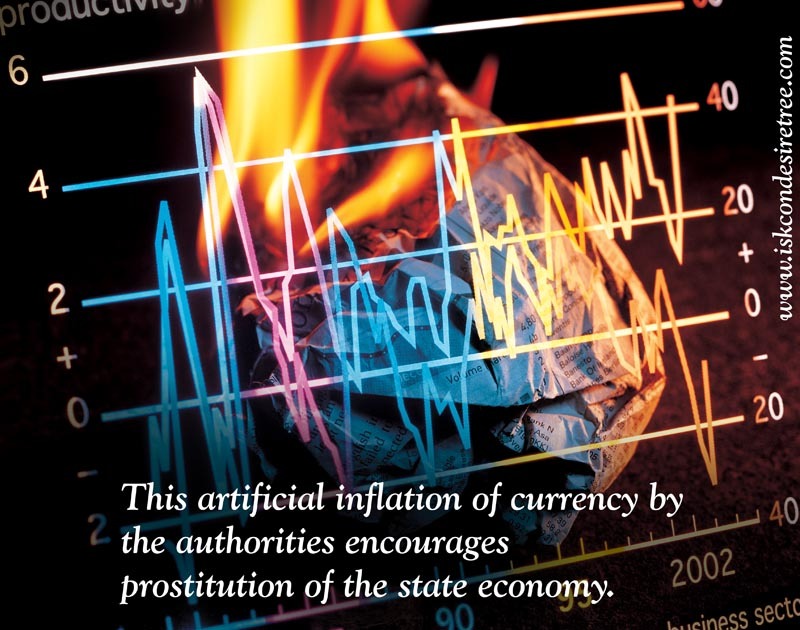 Thus in times of distress the government artificially inflates the currency by simple printing papers, and this artificially raise the price of commodities, and the general condition of the citizens becomes very precarious. 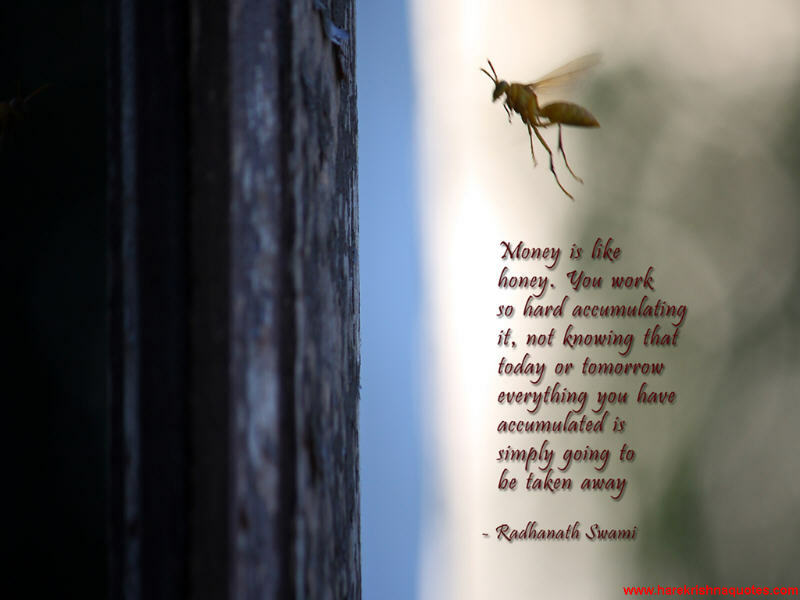 Money is like honey. You work so hard accumulating it, not knowing that today or tomorrow everything you have accumulated is simply going to be taken away. Bad money drives away good money. 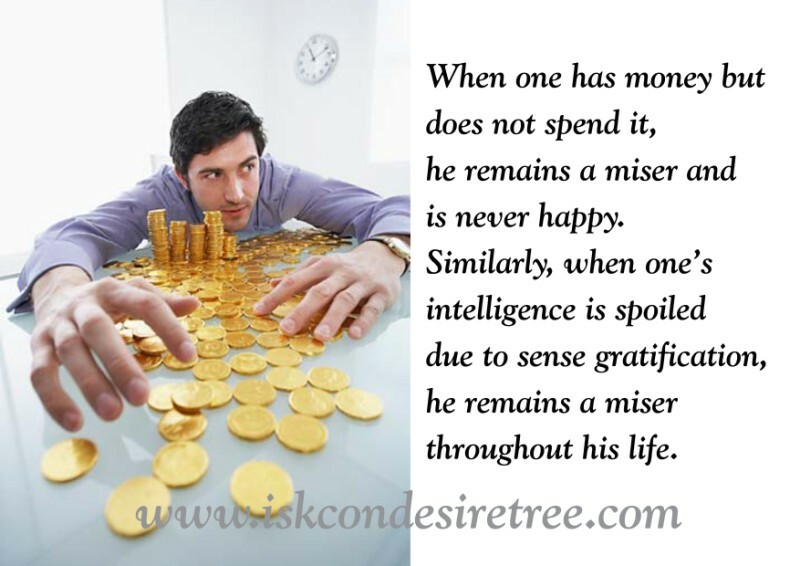 When one has money but does not spend it, he remains a miser and is never happy. Similarly, when one's intelligence is spoiled due to sense grantification, he remains a miser throughout his life.